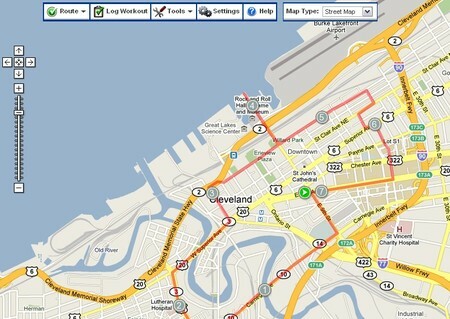 The other day I was listening to the Alan Cox Show and he mentioned using Map My Run to chart his routes. The site maps your routes, helps you find other users routes and lets you track your training. Map My Route also features forums, groups and event listings for all you harriers. The site has “Runner”s World” news and headlines. If you run like the wind, then Map My Run is for you. What does Map My Run do?